Welcome back everyone! Today I have something a bit different for me - a t-shirt. 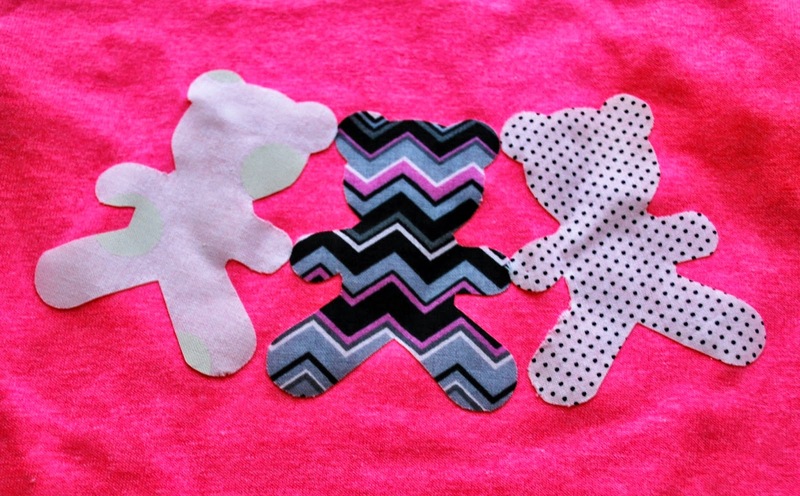 Yes, I'm playing with fabric and clothing....and my JnW Crafts Teddy Bear template. A project where I didn't touch my ink pads lol. Might just be a first for me. Let's jump right into how it was made. 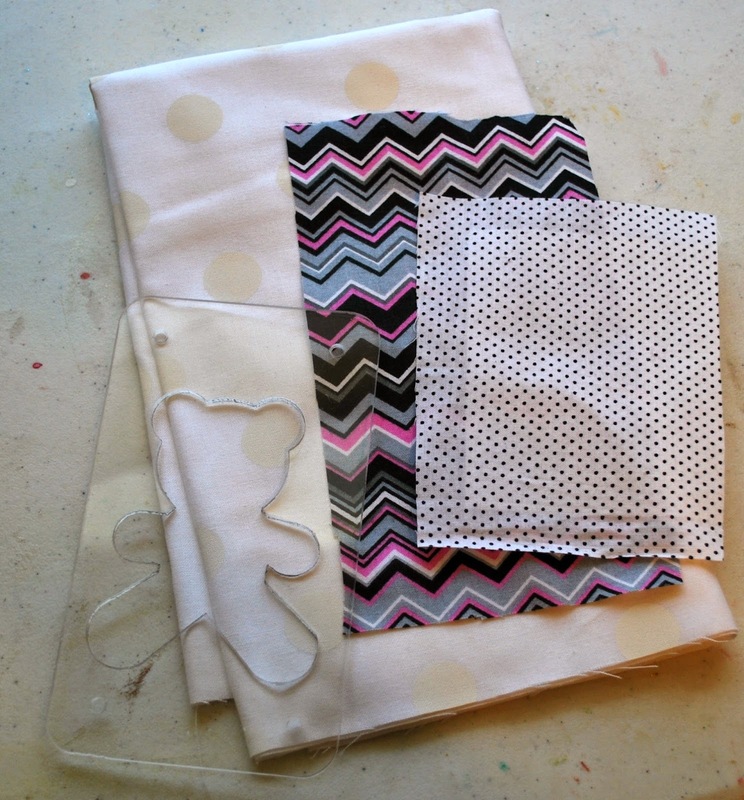 I chose three different patterns of fabrics, cut to 4 in x 6 in each. In addition to the fabric, I also cut three pieces of fusible web to 4 in x 6 in. If you didn't know, this gal does not sew! :) I simply followed the directions on fusible web package. The one I was using had a paper back that was removed, then I pressed the fusible web to the wrong side of my fabric. 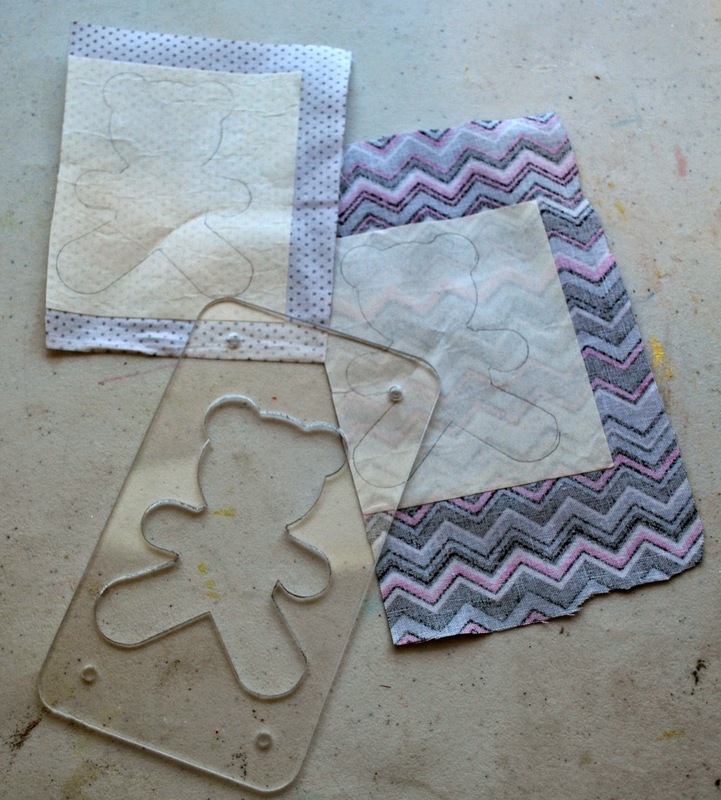 I then used my JnW Crafts template to draw my teddy bear design. 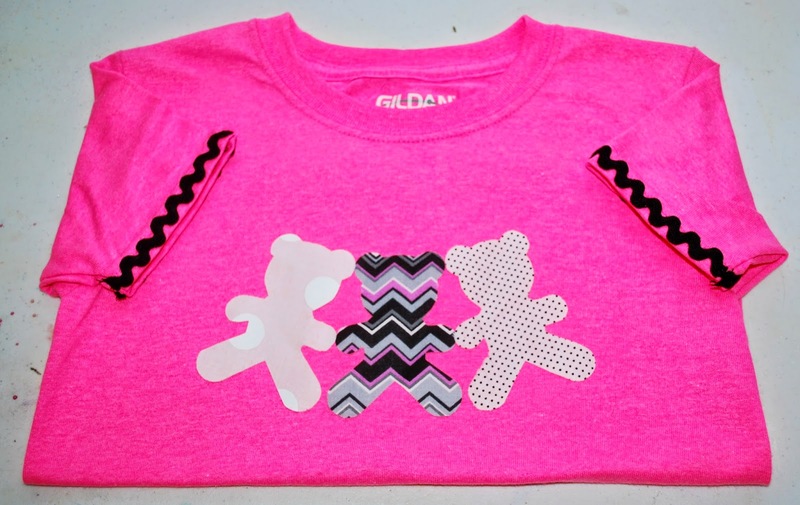 Next, I cut out the three teddy bears. I removed the backing from the other side of my fusible web then ironed on the cut-outs to my t-shirt.